3 Indian Projects amongst top 100 most interesting Infra projects globally ! One of the biggest hurdles in India’s ability to play a catch-up with the scorching pace of growth logged by China has been its infrastructural bottlenecks. In order, to tackle with this problem – India needs to fasten up its infrastructure investment dramatically. It is estimated that the Infrastructure sector in India would require an investment of around $500 billion by 2012. The finance requirements for these infrastructural projects can be supported through various funding options such as project finance, corporate finance or even the larger debt market. Over here, I want to highlight that, though India still needs to consolidate on the infrastructural front, smaller strides have already been made in terms of various public-private partnership (PPP) models across the country. Additionally, a transparent and secure environment for business and foreign investment has prevailed over the last many years. And, that India’s fate no longer lingers at the sole anvil of the governmental push to the infrastructure – though it still remains a major contributor to the infrastructure investment in the country. Here is a distinguished news on this front: Three Indian projects – KG-D6, Mundra power project and Indira Gandhi International (IGI) Airport, New Delhi – have featured in the KPMG’s list of 100 most interesting infrastructure projects that are at different stages of development, across the world. 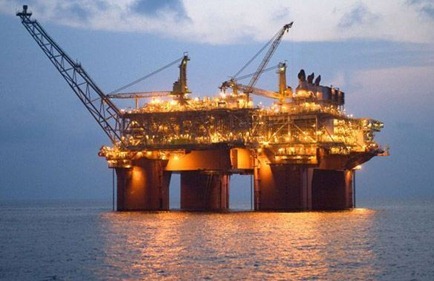 For the uninitiated, Krishna Godavari (KG) basin is India’s largest gas field situated in the Bay of Bengal on the east coast with a high production potential. The D-6 block of the KG basin is operated by Reliance Industries on its discovery of the biggest natural gas reserves in India. 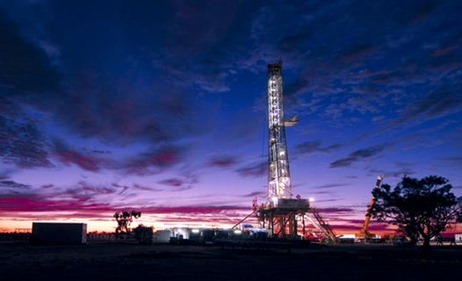 The KG-D6 gas field is one of the top five largest deepwater gas projects globally. New domestic supplies from the KG basin have visible positive impact at the macro level and are expected to give a fillip to gas-consuming industries. In a major achievement in country’s energy security, the gas production has helped prime utility industries such as power and fertilizers. The gas supplied to power units has helped in generating additional power at a reduced cost and revived stranded power plants in many instances, thus leading to optimum plant load factor. Consequently, Government has also also been able to save subsidies on urea production. Another mega-project that has found its mention in the elite list of 100 infrastructure projects by KPMG is Mundra power project. Mundra is the flagship plant of Adani Power, an ancillary of the Ahmedabad-based Adani Group. It is the country’s largest and world’s third largest super-critical technology-based thermal power plant. More recently, the company has successfully synchronized the third unit of 330 Mw at its Mundra with the grid – which has led to achieving of power generation capacity of 990 Mw. The first unit of 330 Mw became operational last year and the second one at the beginning of this year. All the three units are the part of Adani Group’s 4620 Mw coal-fired power project at Mundra – which is core to India’s plans towards continuing economic development through energy efficient plants. Mundra power project is one of the nine ultra mega power projects to be initiated in India. The UNFCCC has certified the coal-based thermal power plant at Mundra as the first Clean Development Mechanism project in the world. Super-critical coal-fired power plants are highly efficient compared to prevailing lot of sub-critical ones being operated in the country. Lastly, even the IGI Airport Expansion at New Delhi, delivering a world-class facility, has notched a place among the top 100 infrastructural projects globally in terms of their sheer scale, complexity and innovation. The new integrated Terminal 3 of the Indira Gandhi International Airport boasts of being the 6th largest passenger terminal in the world, equipped to handle 34 million passengers annually. The new terminal will cater to over half of Delhi’s air traffic. The in-line baggage handling system has a capacity to handle 12800 bags per hour. The swanky new terminal-3 of the IGI airport was built in a record 37 months at the cost of $3 billion. The T3 would provide seamless connectivity to the international and domestic passengers with world class experience, once the full service carriers shift their domestic operations at this month end. A multi-level car parking facility, with a capacity of 4300 cars, in front of the terminal building will enable the authorities to keep at bay the airport’s parking woes – this, over and above a separate surface parking area for 2200 cars. The new complex terminal has six common check-in islands, 168 check-in counters, 63 elevators and 34 escalators. 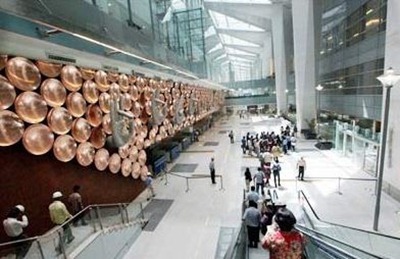 “The IGI Airport Expansion in New Delhi was upgraded and modernised while still functioning, delivering a world-class facility, which is also being turned around in record time,” KPMG said. "3 Indian Projects amongst top 100 most interesting Infra projects globally ! ", 5 out of 5 based on 1 ratings. Good, informative. Happy and proud about it. I am reading this October, wanted to relate the news item to a period while reading ‘end of the month’. Could you please enlighten me on where to find date / period of the such articles. Makes me feel very proud to be an Indian. Great writeup. People would love to read this story! These 3 projects mentioned SURE our MARVELOUS SPECIALIST ENGINEERING CO m/s. LARSEN&TOUBRO LTD must have been main contractor though I know for sure the DELHI airport commonly known as DIAL L&T were the company who performed this project. Sure INDIA is growing and growing with the contribution of such HARD WORKING companies for our country’s DEVELOPMENT.